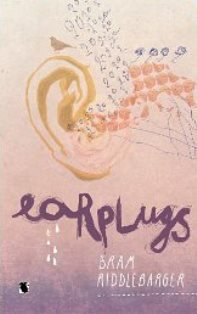 If you are looking for a novel that is absolutely appropriate for the times, Bram Riddlebarger’s Earplugs may be exactly what you want. Set in a small Appalachian town, the story follows its main character—who is never named—as he interacts with his quickly modernizing community and deals with the loss of both his best friend and his girlfriend. Then again, “interacts” may be the wrong word for it, as the protagonist responds to the changes by locating and then constantly wearing a set of earplugs. In an age of ever-increasing connectivity, this action makes a loud statement that is as salient in the real world as it is in the novel. Why on earth would anyone walk around with his ears blocked when there is so much to enjoy? What Riddlebarger seems to be arguing is that we are focusing our attention on the wrong things. To depict the town’s modernization, Riddlebarger elevates the community to a starring role by aggrandizing many of its features. The effect of this is that the town becomes a towering presence that at times threatens to drown out the protagonist’s voice, which is just as well. Because so much of the story is wrapped up in the town’s growing pains, it makes sense for the town to be an overwhelming force in the narrative. Another interesting aspect of the narrative is the author’s decision to punctuate certain passages with images. This allows the story’s frenetic pace to persist without relying too heavily on short, snappy sentences. The best examples of these images are reminiscent of Kurt Vonnegut in the way they break up passages—sometimes in a manner that feels startling—to deliver a healthy dose of sarcasm. In a way, it seems as if the images exist to say, “You don’t believe me? Well, here it is.” Not all of the images land as well as intended, but this isn’t enough to eclipse the brilliance of the ones that do. Lindsay Hodgens is currently a double English/Sociology major at the University of Montevallo.